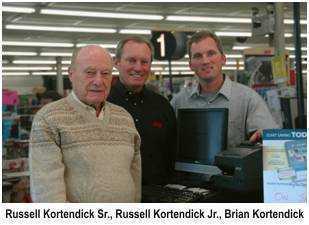 Kortendick Ace Hardware is a locally owned Ace Hardware store that has served the Racine and surrounding area for over 60 years. We are a member of the largest retailer-owned hardware cooperative in the industry. Ace Hardware began as a small chain of stores in 1924 and has grown to include more than 4600 stores in 70 countries. Our culture and philosophy remain steadfast: we continue to earn our customers business and trust through honesty in all transactions. Customer satisfaction is held in the highest regard while providing an enjoyable place to work as well. We are proud to be recognized year after year as Racine’s Best Hardware Store! Be sure to come in and check out the various departments, hardware & tools we have to offer such as; painting tools, underground sprinkler systems, hunting and fishing items, and much much more! Page Summary: Kortendick Ace Hardware offers hardware, aces hardware, painting tools and underground sprinkler system. Products such as hardware online store, sprinkler system installation, tools online as well as hardware & tools are also part of the scope of our business. We also specialize in hunting and fishing stores, sprinklers systems in Milwaukee, Oak Creek, Cudahy as well as Union Grove WI. Other areas we serve include Franksville, Racine, Franklin and Kenosha. We also service Greendale, Sturtevant and beyond.